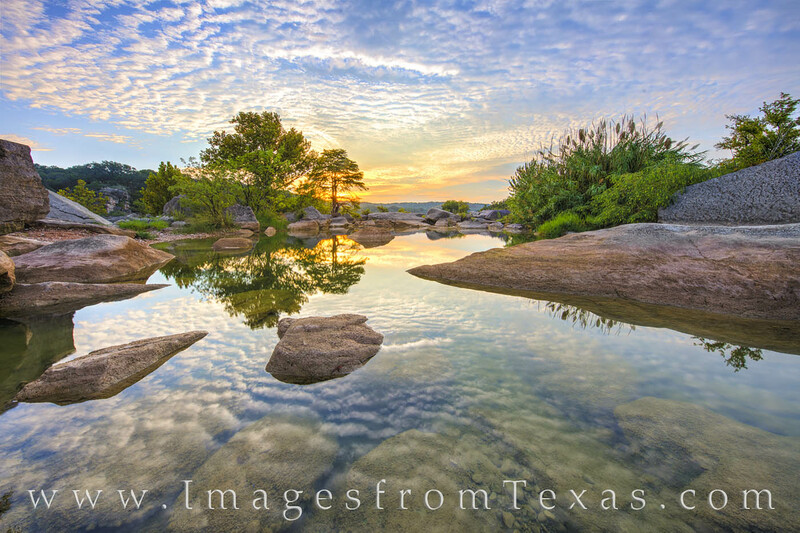 Reflections of clouds beneath a magnificent sunrise highlight this image from the Texas Hill Country. The sun had a nice glow on the horizon, and the pool along the Pedernales River in front of my was clear and calm. Only the fish and me were awake on this perfect September morning. It was a nice way to start the day! Photo © copyright by Rob Greebon.